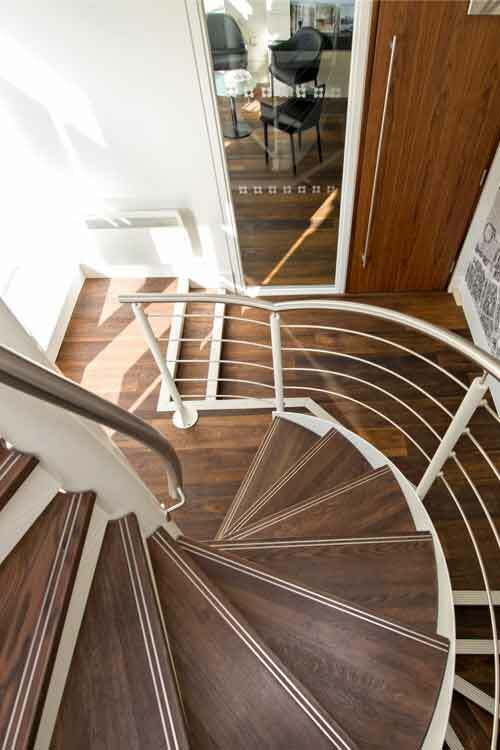 Walnut timber is generally a rich, milk / dark chocolate colour with swirls of caramel. 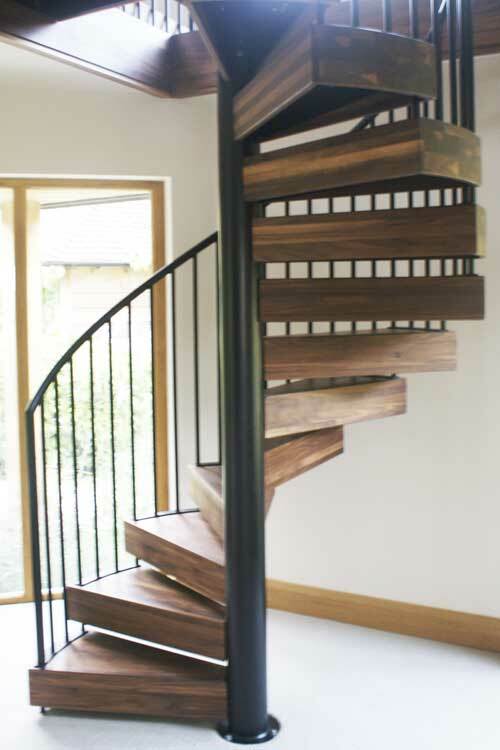 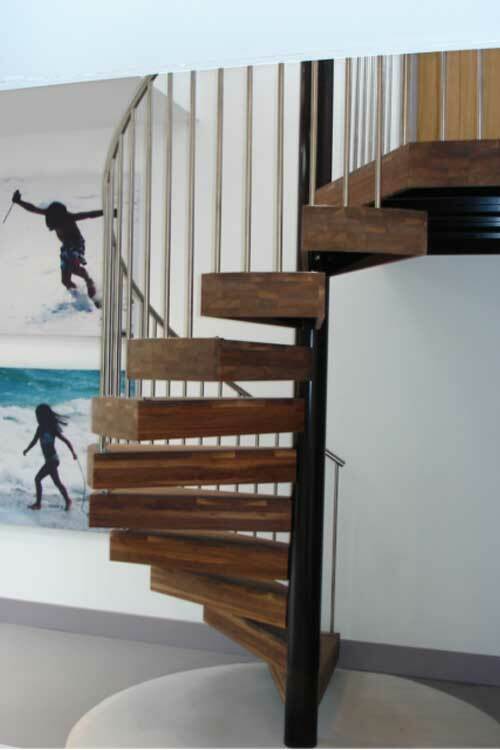 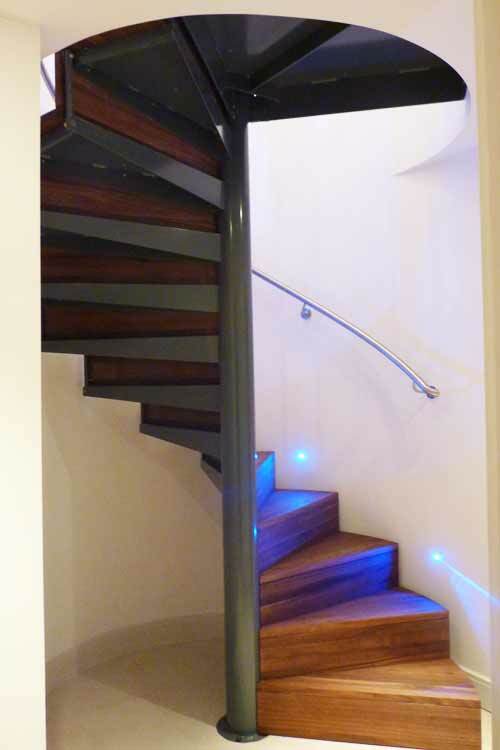 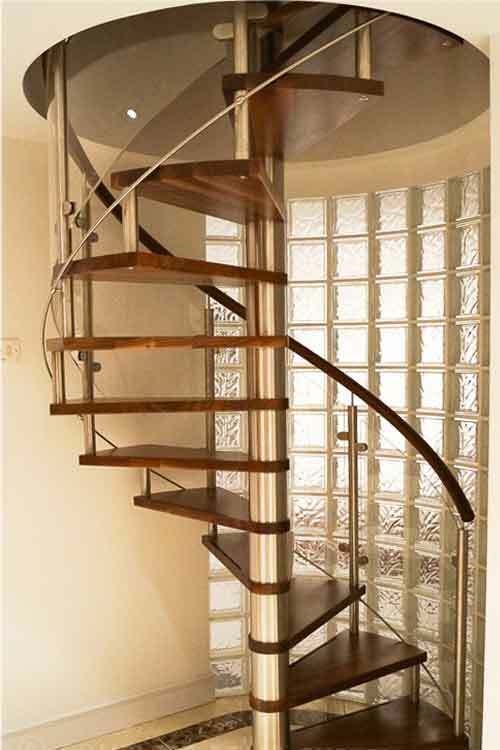 It’s choice of tread type is becoming increasing popular with clients matching the spiral stair to walnut flooring. 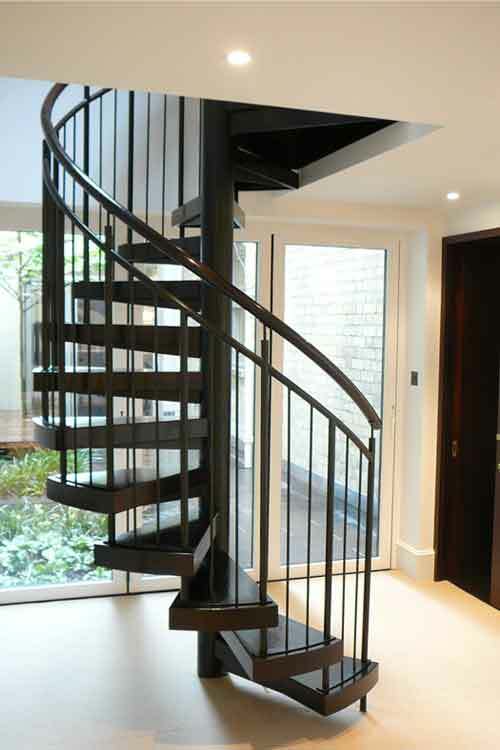 These spiral staircases are formed with 30-50mm solid beech, either on a steel tread arm or cantilevering directly from the centre column. 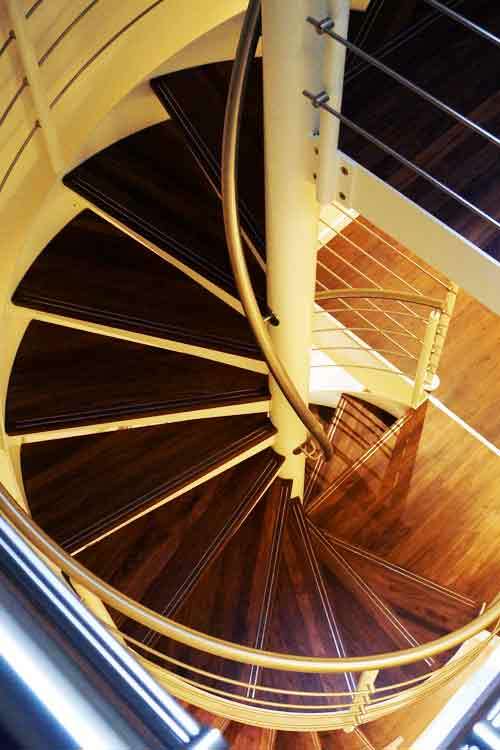 Diameters vary from 1000-3000mm and these spirals can be assembled to access several floors if required. 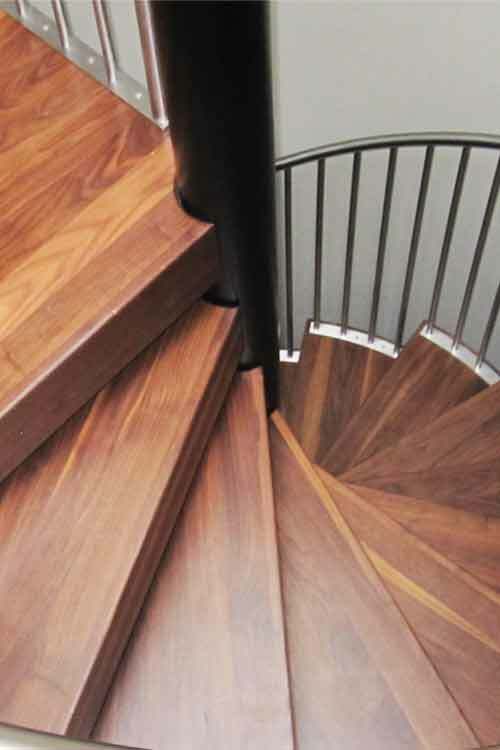 The walnut tends to be supplied matt varnished, oiled or left ‘raw’ for onsite treatment.